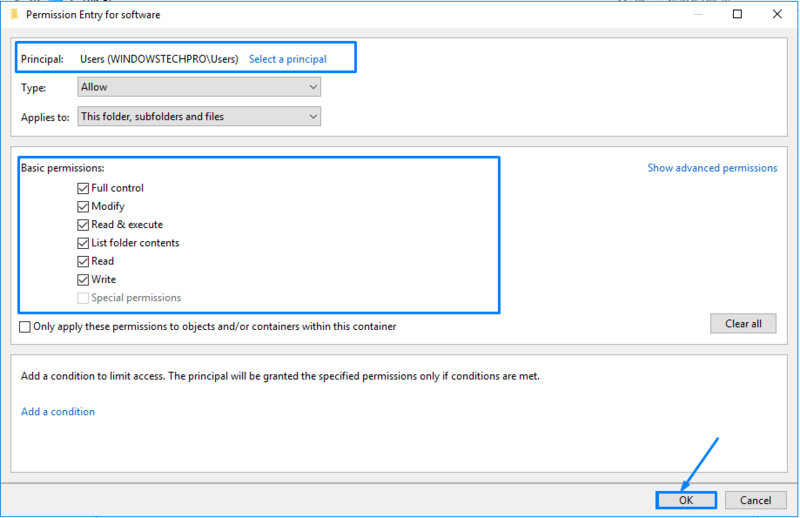 Part3: What is an NTFS “advanced security scenario”? 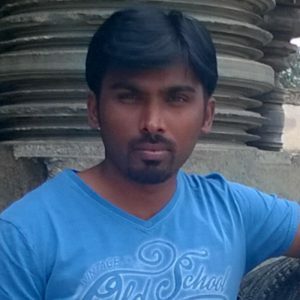 In this article, we see about advanced security scenario for NTFS. Common NTFS folder is used to many organization is to set permissions such that users can create, update, delete and rename files, but not delete or rename folders or sub-folders. 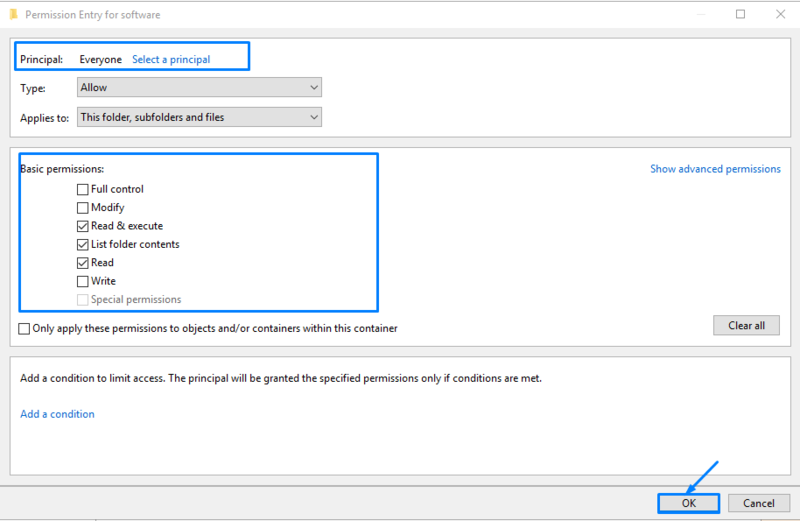 Many organizations implement this approach to provide a consistent network folder structure for users to store their files, without being concerned about user’s inadvertently moving or renaming whole sections of that folder structure. We can click on the Customize permissions. 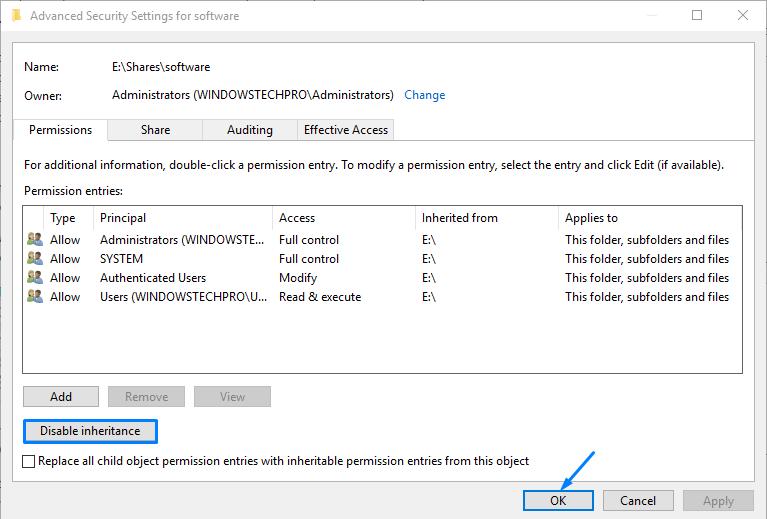 In the Advanced Security Settings dialog box, click the Disable Inheritance. 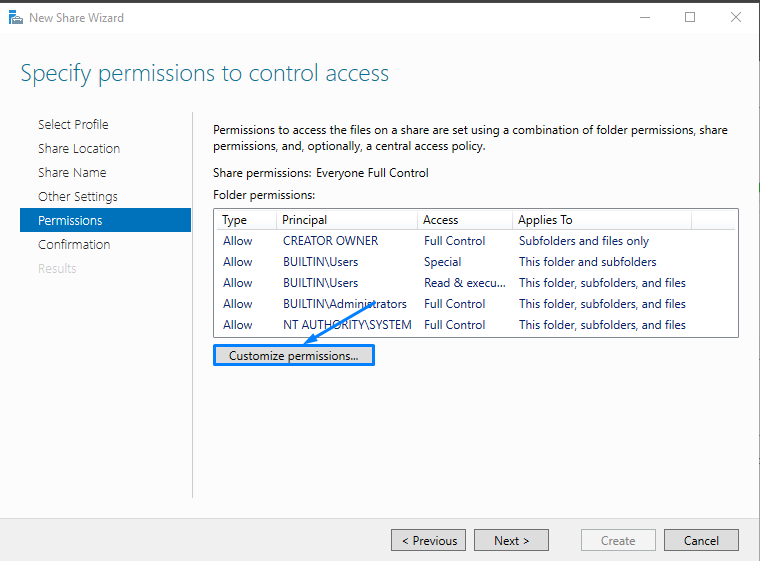 To disable inherited permissions from the parent folder in preparation of setting an explicit set of folder permissions. 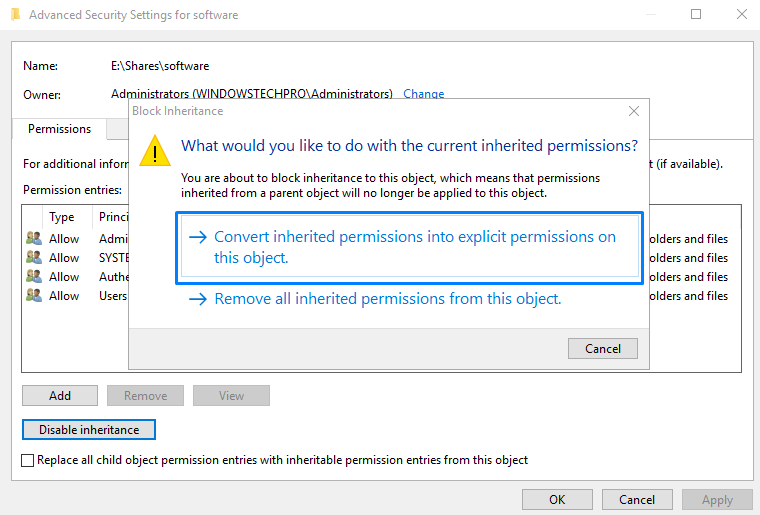 Click the option to convert inherited permissions into explicit permissions on this object. Click Remove, to remove user group in list for this folder. Then ADD one user group and modify the permission for the folder. ADD another group for everyone to give Read, write permission for the folder. 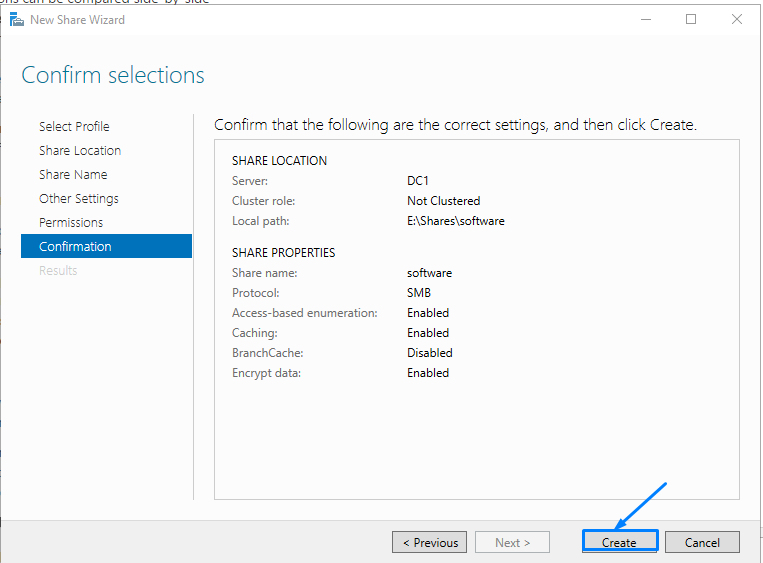 Click Close, Now the share folder was successfully created. 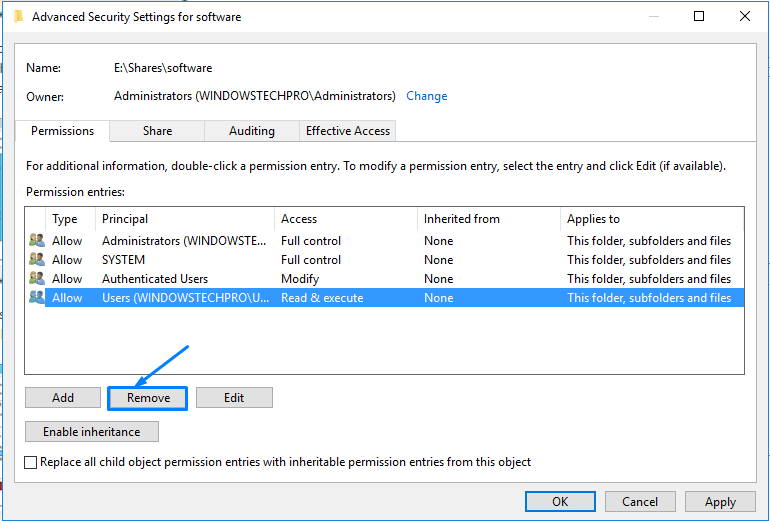 Previous PostPart 2:How can I automate the process of sharing new folders in Server 2016?Next PostWhat is DNS?